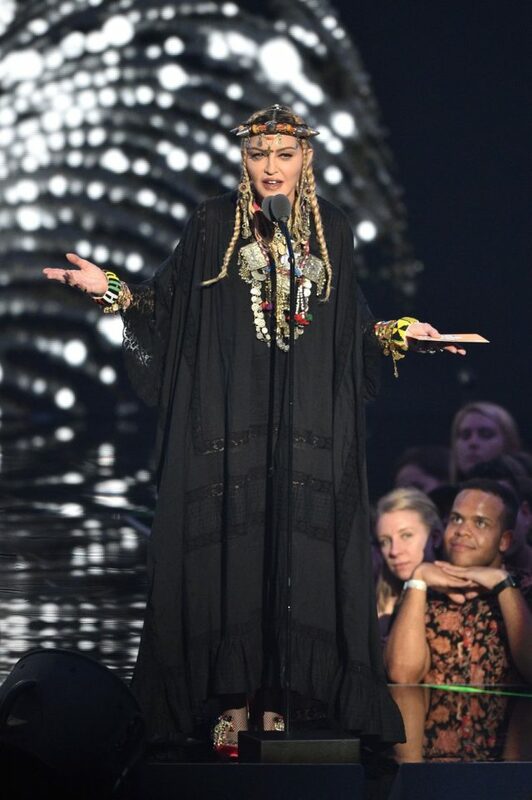 This might be the worst Madonna has ever looked and that's saying a lot. Would someone please get this hot mess a stylist? Those pants are incredibly hideous. Burn them at once. Once again, people, high boots do not equate pants. Love her hair and the color of the suit, but perhaps it could be a wee more tailored.